Gozo is a small island part of the Maltese archipelago situated in the center of the Mediterranean, just 60 miles south of Sicily. It is not more than a 3 hour flight from anywhere in Europe and the UK, making it an excellent destination for quick breaks and long weekends. 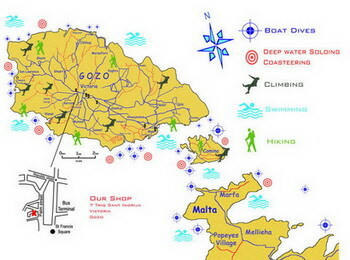 Gozo is only half an hour ferry drive away from the mainland and a great getaway from the hustle and bustle on Malta. It is haven of tranquility due to its slower pace of life and will make your trip an unforgettable one. The Gozitans thrive on fishing and agriculture and this is evident in the small fishing villages that dot the island. 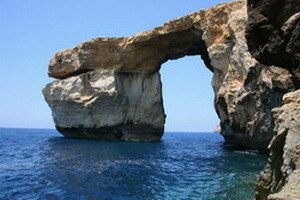 The scenery provides a spectacular backdrop of limestone farmhouses, rolling hills and clear Mediterranean blue sea. Rugged cliffs, tabletop hills and steep valleys with terraced fields stepping up the slopes characterize Gozo’s unique landscape. The beaches and the entire coastline have been left largely untamed and retain a picturesque natural look. The blue coastal waters are clean and safe for swimming. The sea temperatures average around 24 °C in the summer and a minimum of 15 °C in the winter. 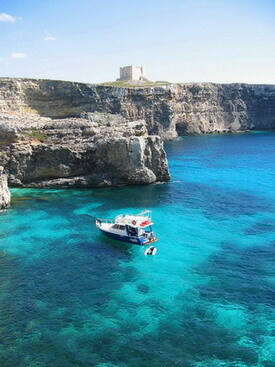 Typical Mediterranean weather makes Gozo the perfect destination for all year round activities. Mild sunny winters are ideal for climbing, hiking and biking whilst diving, sailing and coasteering are best performed in the hot, dry very sunny summers.